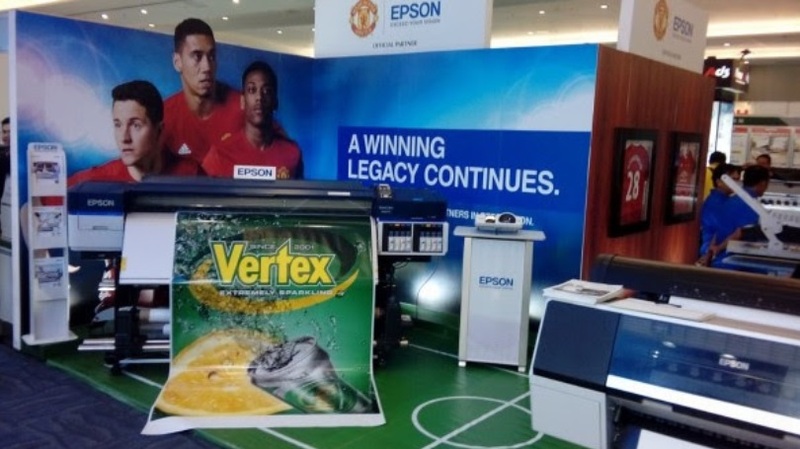 Epson Philippines unveiled new printers during the Print and Label Davao 2016 last month at the SMX Convention Center in Lanang, Davao City. Carrying football-inspired booth, the company pitched their new products to business owners and tech aficionados, including members of the Packaging Institute of the Philippines and the Philippine Center for Print Excellence Foundation. In the spotlight for Epson during this event are their new SureColor S-Series Printers which include the PrecisionCore TFP. This printhead improves output through its Print Mode that reduces banding. Printing speed is also improved by its auto media adjustment system. Also included in the series is the Epson SureColor SC-S60670 that is ideal for high-volume printing with less downtime. Textile business owners will love the Epson SureColor SC-F6270 because it is designed for sheet production and dye-sublimation printing. On the other hand, professional photographers and graphic designers can get hold of the SureLab SL-D700 which is the company’s first six-color compact inkjet printer. With the help of an advanced image processing technology and the Micro Piezo printhead, the SL-D700 can render photos as long as one meter. Likewise, the SureColor-P7000 is a large format printer with advanced software which makes it a reliable for more demanding printing jobs. Finally, the SureColor SC-P407 boasts of an advanced pigment ink and UltraChrome Hi-Gloss 2 that helps translate any image with a vast option of colors.